Centre Ambassadors of the Australian Centre for Christianity and Culture were appointed in 2018. The Ambassadors represent are highly respected public figures in Australia. They will play an important role in the support, promotion and advocacy of the Centre at the national level. Bishop Browning was born and educated in the UK before migrating to Australia as a jackeroo/stud groom in 1960. He completed his undergraduate training with first class honours before serving as deacon and priest in the Dioceses of Armidale and Newcastle. He was ordained a bishop in 1985 to serve first in the Diocese of Brisbane before being appointed Bishop of Canberra and Goulburn in 1993. Education has been a significant part of his life, being Vice Principal of St John's Theological College in Newcastle and Principal of St Francis College Brisbane. In Canberra he oversaw the founding of a School of Theology through St Mark's College with Charles Sturt University, and the partnership, also with Charles Sturt University which established the Australian Centre for Christianity and Culture. He has had a life time interest in issues of social justice as an expression of Christian faith. This interest has seen him involved with indigenous justice, the environmental movement, and latterly with justice for Palestinians. He was the inaugural convener of the Anglican Communion Environment Network and is currently President of the Australia Palestine Advocacy Network. He also chairs Christians for an Ethical Society in Canberra. He is a board member of the Browning family trust which supports women's health in rural and regional Ethiopia. His doctoral thesis examines the biblical concept of Sabbath as an ethical framework for a response to the challenge of climate change. In 2000 he was awarded the Centenary medal for his contribution to the community and in 2007 a Doctor of Letters (honoris causa) for his contribution to education. He is marred to Margaret, they have three sons, two foster daughters and nine grandchildren. Frank Brennan is a Jesuit priest and CEO of Catholic Social Services Australia. He is superior of the Jesuit community at Xavier House in Canberra. 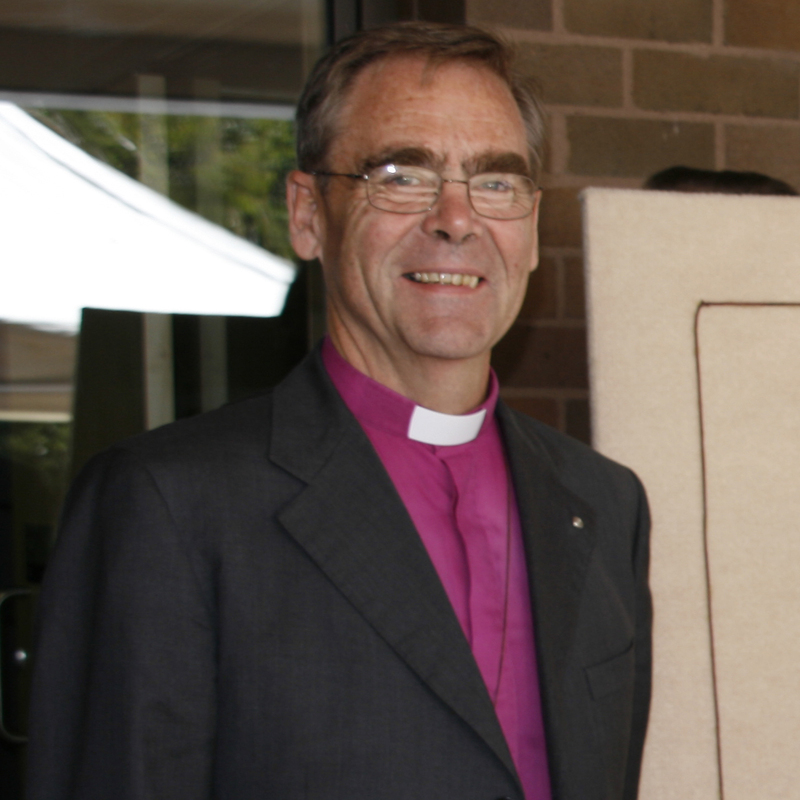 The Rt Rev’d Dr Peter Carnley AC is a retired Australian Anglican bishop and author. 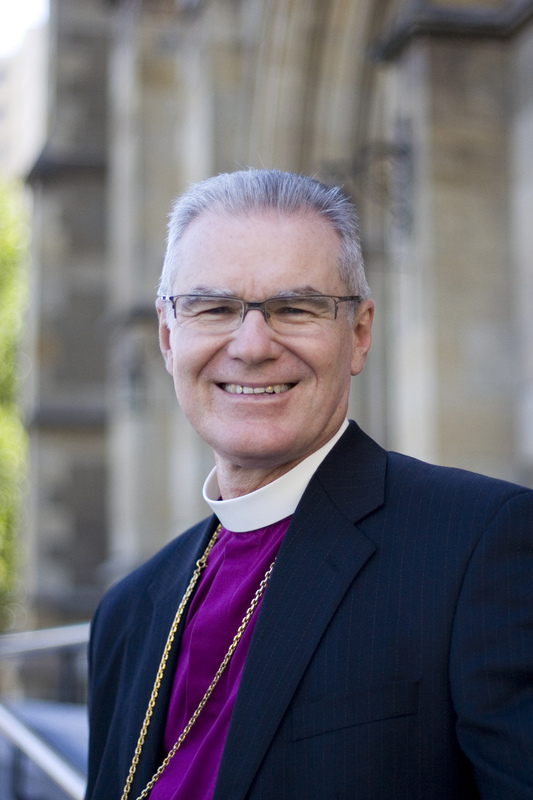 He was the Archbishop of Perth from 1981 to 2004 and Primate of the Anglican Church of Australia from 1999 until July 2004. In 2007 he was appointed a Companion of the Order of Australia. Dr. Carnley was born in New Lambton, New South Wales and educated at Young High School. He undertook studies in theology at The College of St John the Evangelist, Morpeth, ordained Deacon in 1962 in the Diocese of Bathurst and Priest in 1964. Following ministries in Melbourne and Parkes he undertook studies at St John’s Cambridge graduating in 1970 with a Doctor of Philosophy. Over the next decade Dr Carnley undertook a number of ministry and teaching positions including warden of St John’s College and lecturer at the University of Queensland, and Canon of St John’s Cathedral, Brisbane. 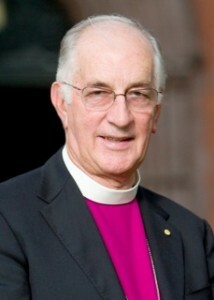 He was consecrated as Bishop and installed as Archbishop of Perth in 1981. Dr Carnley was an inaugural member of the Council of Eminent Persons of the Australian Centre for Christianity and Culture, Charles Sturt University. In 2001 he was admitted as a Doctor of the University (honoris causa) Charles Sturt University. He is married to Ann Carnley. 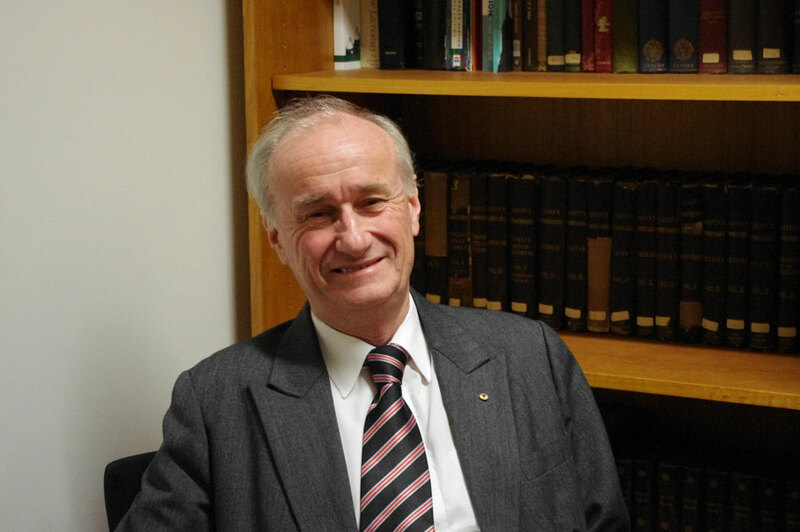 Professor Chambers was educated at the University of Sydney where he took a degree in history and completed a PhD in the history of Christian political and social thought in Russia. 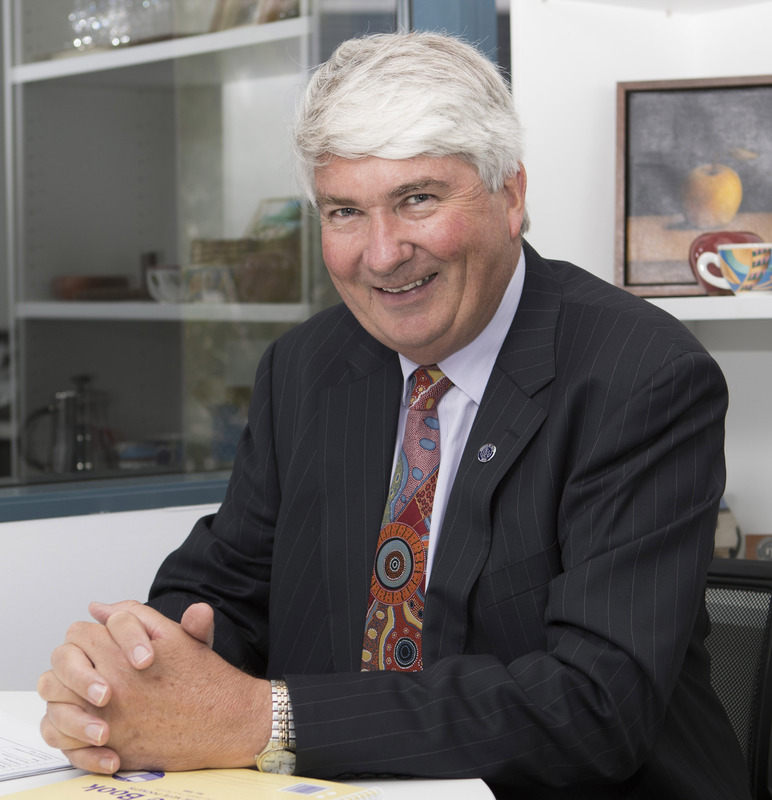 He commenced lecturing at Charles Sturt University in 1979 and subsequently held the positions of Dean, Faculty of Arts (1992-2001) and Deputy Vice-Chancellor (Academic) (2002-2012) at the University. Special interests in the latter role included indigenous education (including language recovery); regional higher education; and education for emerging professions, especially policing. Professor Chambers oversaw the establishment of the School of Theology at CSU in collaboration with St Mark’s National Theological Centre and, later, the United Theological College. He also represented the University in the development of the Australian Centre for Christianity and Culture and was a member of the Board of the Centre from its inception. He chaired the Board of the Centre from 2002-2015. He is the chair of the Board of the Centre for Ecumenical Studies which operates under the aegis of the ACC&C. Professor Chambers is a member of the Uniting Church and serves on the bodies within the church which oversee theological and ministry education. Professor Chambers also has a long standing interest in Christian-Muslim dialogue and in citizenship in multi-faith democracies. He is a member of the Advisory Board of Affinity Intercultural Foundation. He worked with the Muslim community in Australia to establish the School of Islamic Studies at CSU. 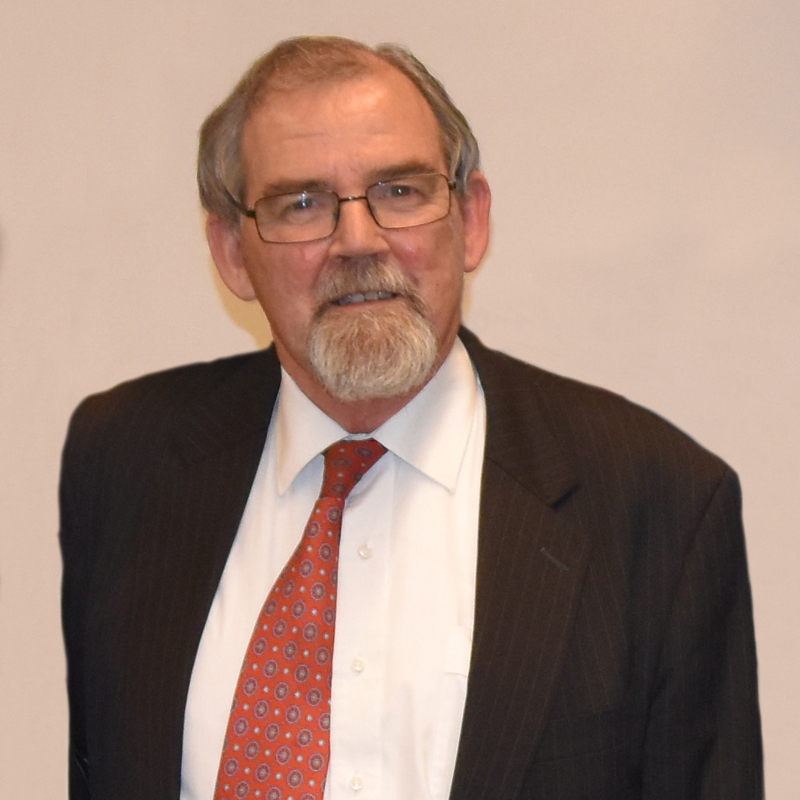 Professor Chambers was made a Member of the Order of Australia in 2018 for his service to university education, including regional education and theological education. In earlier roles Tim was National President of the Baptist Union of Australia and Mayor of St Kilda. He has been Baptist Minister at St Kilda Baptist and Collins Street Baptist in Melbourne, as well as Executive Director of Urban Seed. His books include Faith (2016), Hope (2012), Another Way to Love (co-edited with Rod Yule);Streets of Hope: Finding God in St Kilda; Tips from a Travelling Soul Searcher; and Wanna Bet? Winners and Losers in Gambling’s Luck Myth (co-written with Royce Millar). Philip Freier experienced a powerful conversion to Christ while working with Indigenous Christians in North Queensland – where he also met his wife, Joy – and decided to seek ordination in the Anglican Church. Dr Freier has identified the biggest challenge facing the church as cutting through with the Christian message and lifting public trust in the church. Dr Freier’s qualifications include a PhD from James Cook University; a Master of Educational Studies from the University of Newcastle; a Bachelor of Divinity from the Melbourne College of Divinity; and Diploma in Education from the University of Queensland. He is a Fellow of the Australian Institute of Company Directors and the Australian Institute of Aboriginal and Torres Strait Islander Studies and is the Chair of the Board of the Brotherhood of St Laurence. As Primate – elected in June 2014 – Dr Freier is the spiritual leader of the Anglican Church of Australia, its spokesman to politicians and the wider community. Internationally, he is a member of The Archbishop of Canterbury’s Task Group and the Anglican Consultative Council. James Haire is Professor Emeritus of Charles Sturt University, and was Executive Director of the Australian Centre for Christianity and Culture (2003 - 2013), and Director of the Public and Contextual Theology Research Centre (2005 - 2015). He studied classics and theology at Worcester College, Oxford (BA, MA), and then undertook postgraduate studies in theology in Leiden, The Netherlands (GradDipMiss), Birmingham (PhD) and Belfast (Ordination Preparation). He has four honorary doctorates (DD, DLitt, DUniv), from the UK and Australia. He was a theological lecturer and church leader in Indonesia for 13 years, as a missionary of the Presbyterian Church in Ireland, and later participated in the peace and reconciliation process between Christians and Muslims in the Molucca Islands in eastern Indonesia. He has engaged in interfaith dialogue, including with Abdurrachman Wahid (past President of Indonesia), Anwar Ibrahim (political leader in Malaysia) and Azyumardi Azra (Indonesian Muslim intellectual). After coming to Australia in 1985, he was Uniting Church parish minister in Darwin; Professor of New Testament Studies and Principal of Trinity Theological College, Brisbane; Dean of the ecumenical Brisbane College of Theology; Professor of Theology and Head of the School of Theology at Griffith University, Queensland; President of the Uniting Church in Australia; Chair of the Australian National Heads of Churches Meeting; President of the National Council of Churches in Australia; Co-Chair of the Catholic Church - Uniting Church National Dialogue; Member of the Methodist - Catholic International Commission for Dialogue; and Member of the Executive of the Christian Conference of Asia. He became an Honorary Fellow of Emmanuel College, University of Queensland, in 2011. He was appointed a Member of the Order of Australia (AM) in 2006, and then a Companion of the Order of Australia (AC) in 2013. He was appointed a Presidential Friend of Indonesia in 2010. Margaret Reid grew up in south Australia, attended boarding school (Methodist Ladies College) in Adelaide and graduated Bachelor of laws from Adelaide University. After practising as a Barrister and Solicitor in the ACT for 16 years she was elected to Federal Parliament as Senator for the ACT, where Margaret served for approximately 22 years. During that time she was elected President of the Senate a position she held for 6 years. Margaret was the first woman elected President of the Australian Senate. Margaret was the first Chair of the Board of the Australian Centre for Christianity and Culture from 1998 until 2001. She remains an Ambassador for the Centre. Since retiring Margaret has been Member of the Immigration Detention Advisory Group, President of the Australian Council for International Development, Member of the Panel of the Independent Review of Aid Effectiveness, Chair of the Advisory Board of the Centre for Applied Philosophy and Public Ethics and Chair of the Mulloon Institute Advisory Board. 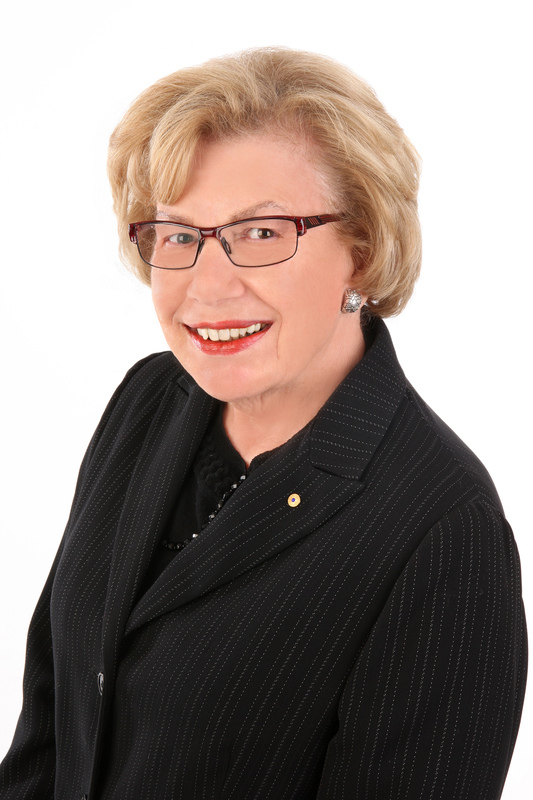 Currently she is Chair of the Australian Foundation for Mental Health Research, Chair of the ACT Committee of The Crawford Fund and as such a Board Member of The Crawford Fund. She remains Patron of a number of Community Organisations. 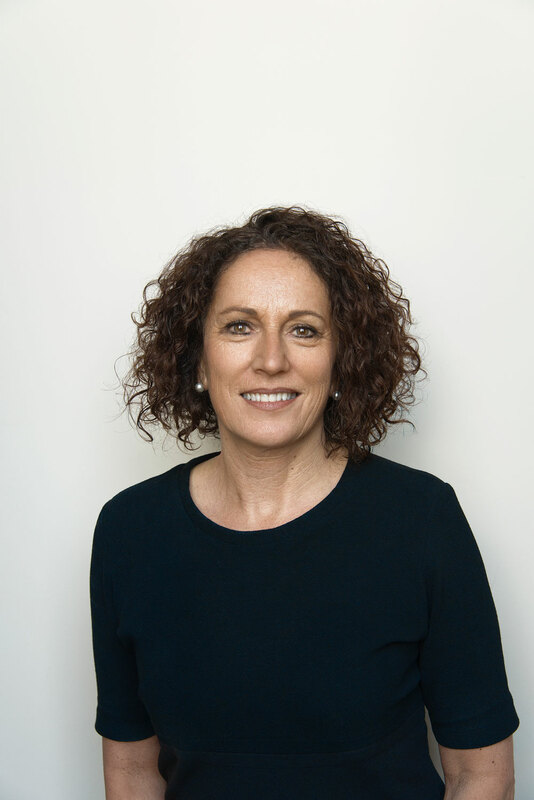 Helen is both a Vice-President and a board member of the Australian Council for International Development (ACFID), and also sits as an Executive Board Member for Oxfam International. Helen has recently been appointed to the Council of the University of Melbourne. She is also a board member of The Cranlana Foundation. In 2018, Helen was awarded an Order of Australia (OA) for distinguished service to social justice through roles with human rights, anti-discrimination and equal opportunity organisations, to health sector policy development, and to the disadvantaged. She has been a Victorian finalist in the 2016 Telstra Business Women’s Awards and received an Honorary Doctorate of Laws from Deakin University in October 2015 for her contribution to Human Rights. In 2011, Helen was awarded the ‘Law Institute of Victoria Paul Baker Award’ for her contribution to human rights and in 2014 she received the ‘University of Melbourne Alumni Award’ for leadership. She is a graduate of the Australian Institute of Company Directors, Fellow of the Institute of Public Administration, member of the International Womens Federation of Australia and Chief Executive Women. Dr Baden Teague lives in South Australian and describes himself as an Anglican Christian, a writer, active in community service and public policy. He graduated BSc in physics, maths and psychology and BA Honours in History (University of Adelaide) then PhD in philosophy (Cambridge University) and lectured at Adelaide University 1972-77 in History and Philosophy of Science. He was elected a Liberal Senator representing South Australia in seven Australian Parliaments 1978-96 with priority interests in Education policy, Foreign Affairs, Defence and Trade, Immigration, Aboriginal Affairs and Constitutional Law. He is a frequent visitor to all countries of interest to Australia, especially China, Indonesia, India, the U.K., Europe, the Americas and the Pacific. Dr Teague St Peter's Cathedral in Adelaide where he is a continuing Lay Preacher, formerly Warden, and a longtime member of the Adelaide and General Synods, a Chevalier in the Order of St John. 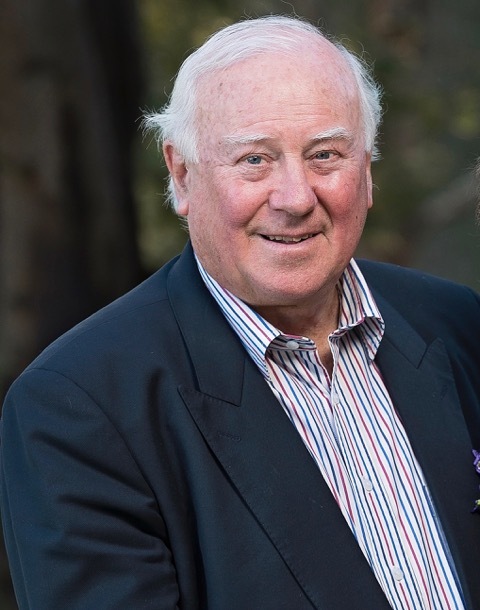 He has been a Council member of the University of Adelaide (10 years), a Governor of St Peter's College (17 years) and Chairman of the International College for Hotel Management (17 years) and a longtime supporter of St Mark's University College, Adelaide. He is currently a farmer at Inman Valley with beef, grapes and olives: married to Kathy with three adult sons and nine grandchildren, a Crows football supporter.